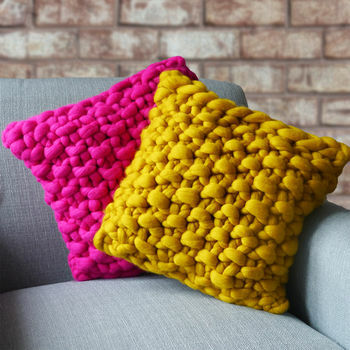 Add a pop of colour to your home with these chunky knit decorative cushions in Bright Pink or Mustard Yellow. 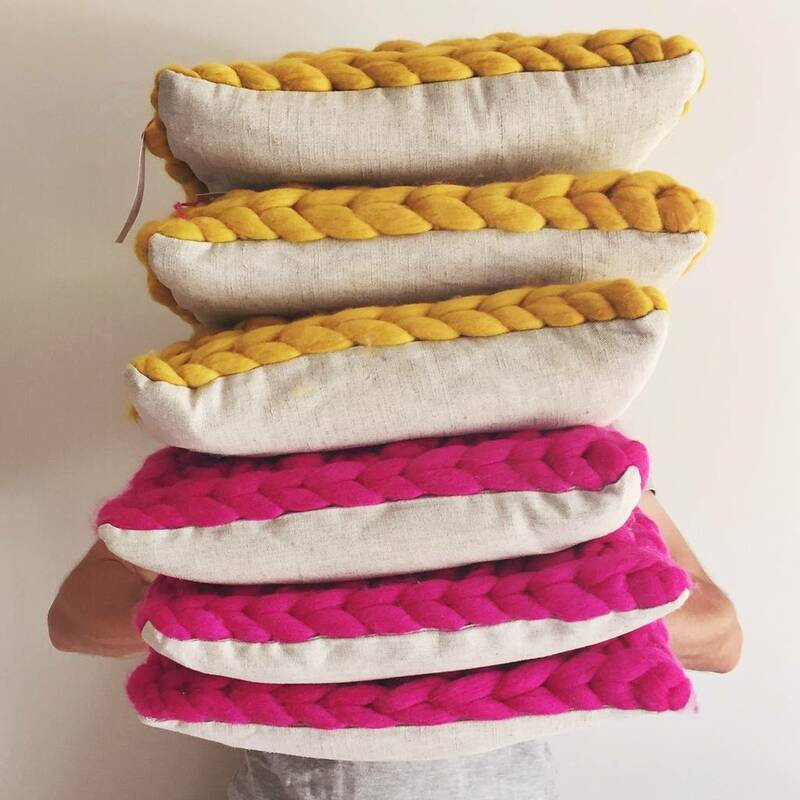 Each of these chunky knit cushions is hand made from start to finish in my Devon studio. 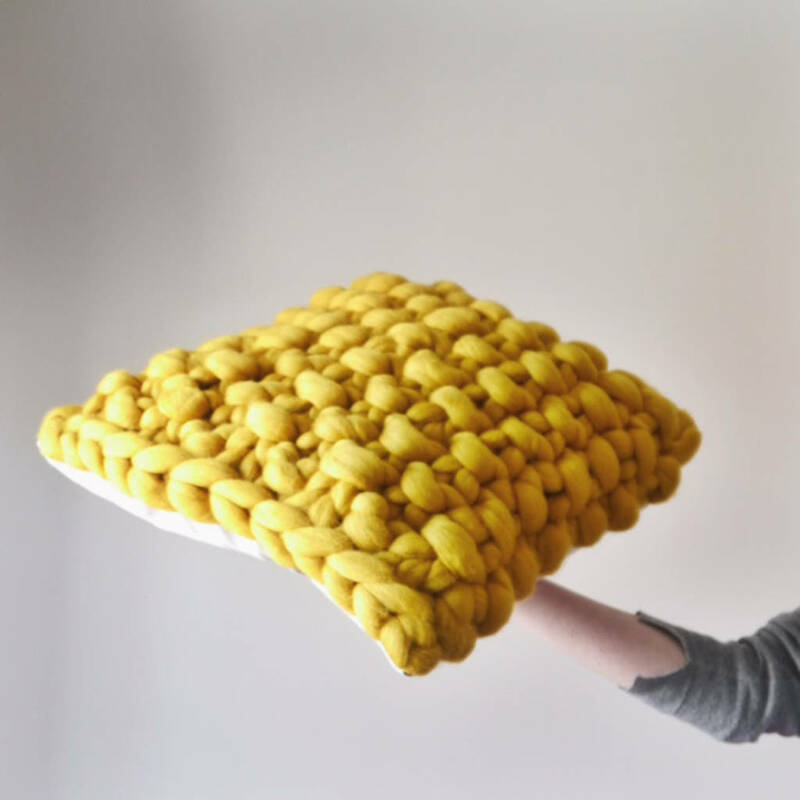 Handknit on chunky needles in a textured moss stitch the soft Merino wool panel is then carefully processed and hand stitched to a linen cover. 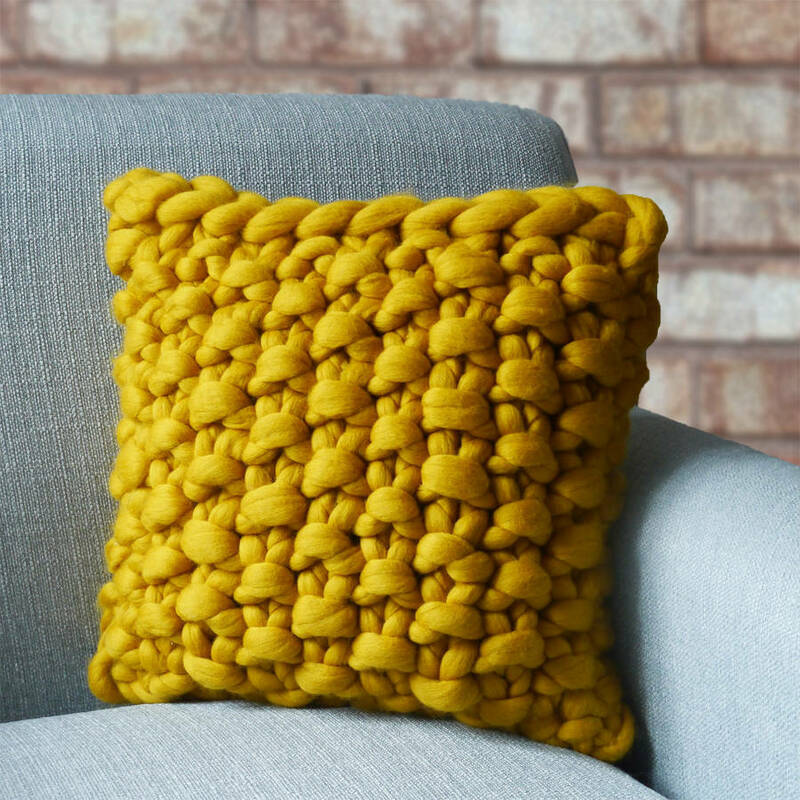 A great edition to brighten up any home, these cushions works well as a single statement piece to compliment a neutral room as well as looking great as a pair on a bed or sofa. 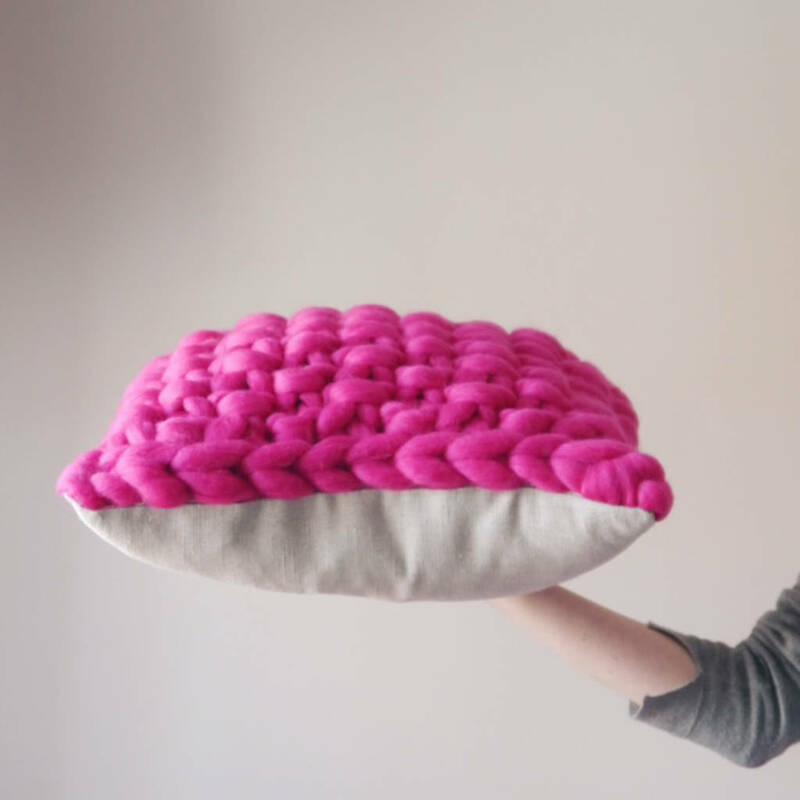 You could keep it for yourself or give as a gift to a friend who isn't afraid of a splash of colour. Available in Bright pink or Mustard yellow. If you prefer a more subtle statement they are also available in black or grey under "Cullompton Classic". 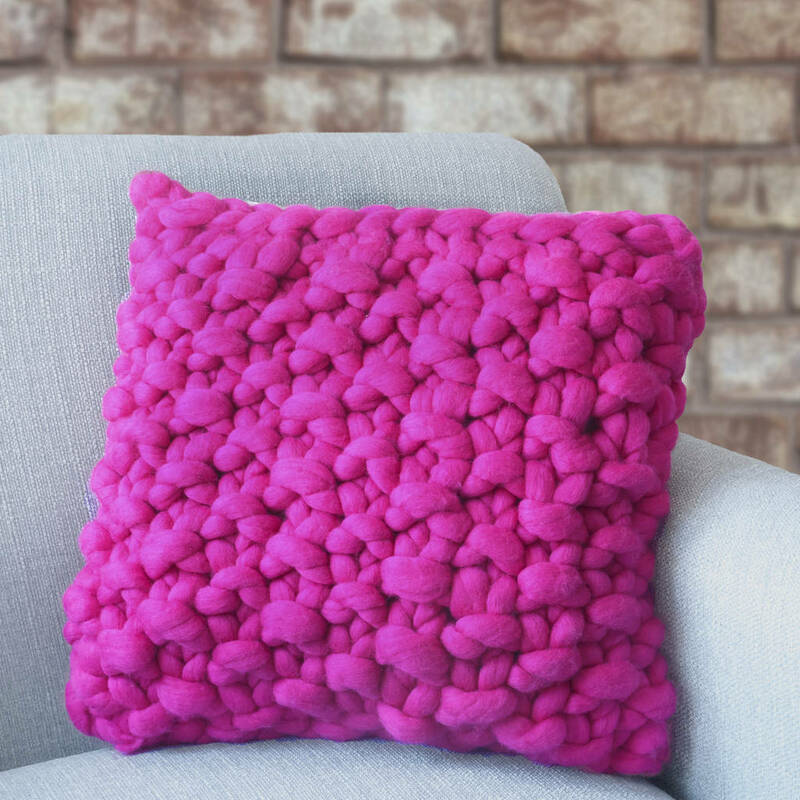 Or for a truly custom cushion I have a listing where you can pick your favourite style and colour.